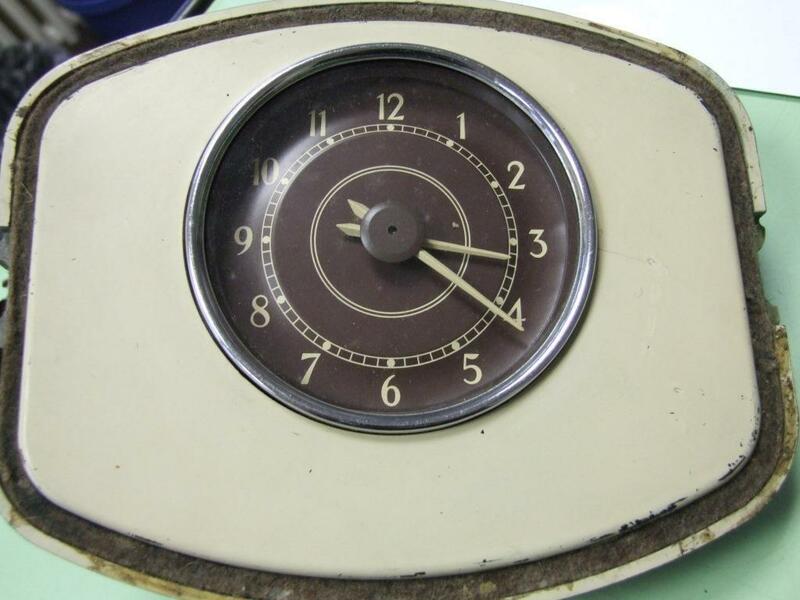 It´s regarding my newest find, a clock which I need for my Samba´s dash. Since I own the Samba and I am much more into Barndoors as before, I always wondered what could be possible the difference between a Samba dash-clock and a split window beetle dash-clock. 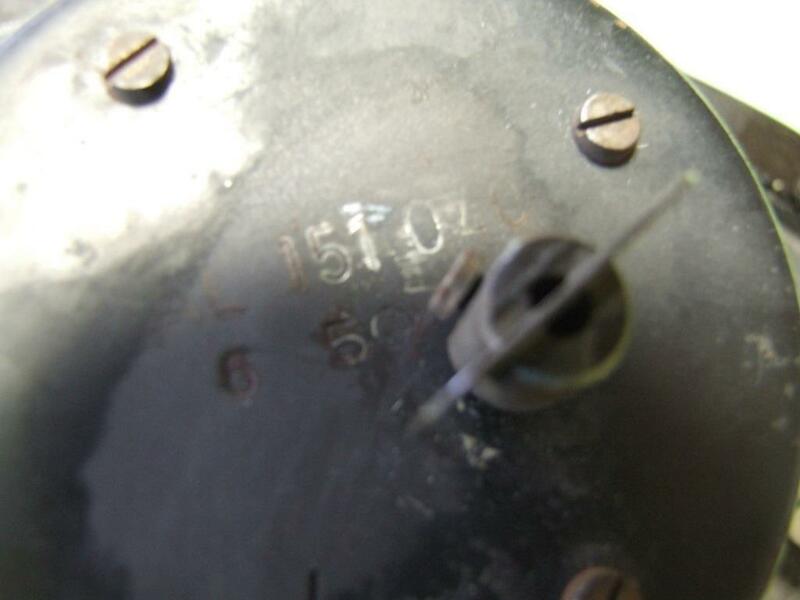 There must be a difference because even the very early VW-spare parts book confirms that the Samba clock has a specific Samba part number (241 016 201), but what difference could it possibly be? 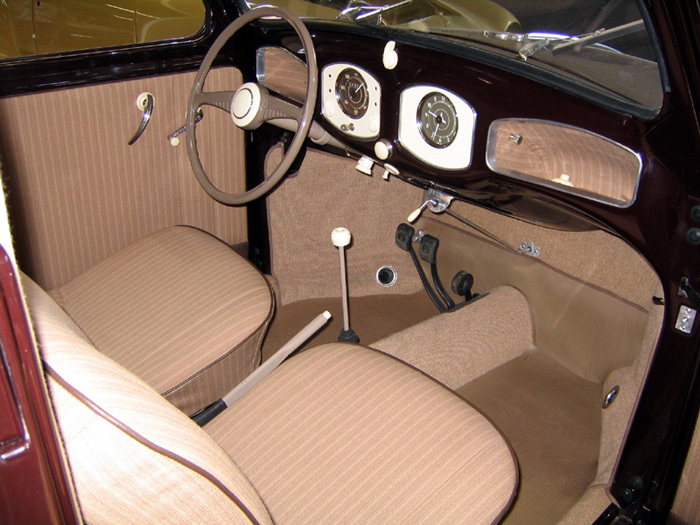 When looking at any Samba dashboard picture I could never see a stick peeping out the dash´s right side. 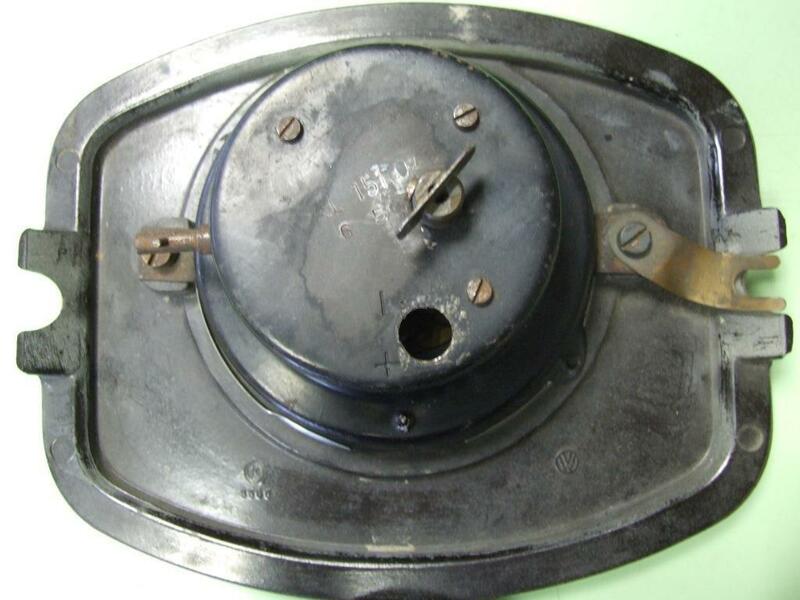 Also while looking at the rest of my Samba´s dash I couldn´t find any hole where the stick of the missing clock could have went through. But how did very early Samba owners adjust and raise their clocks, when the stick is missing? Nobody could give me an answer so far. No long stick, but a short one, which is for setting the clock only, but not for raising it. 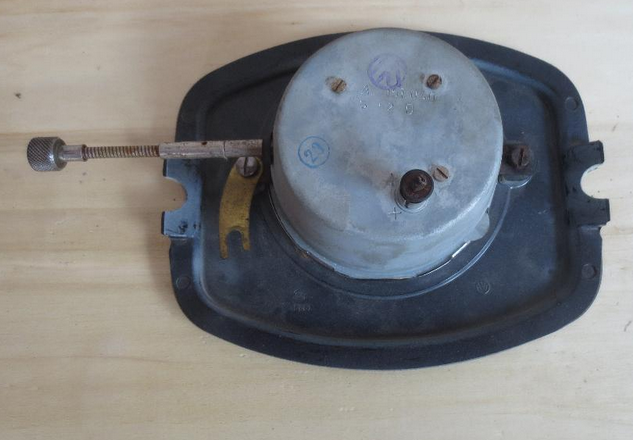 To raise it there is a turning handle as grandma´s mechanical alarm clock had one! I had a very close look at this handle and it is definitely not a later homemade conversion, what reason could such a conversion had anyway? So my only conclusion is that this might be the Holy Grail, the Samba specific dash board clock. Could this be right? What do the experts say? Can anyone confirms this or knows better? There was no Samba in June 1950! 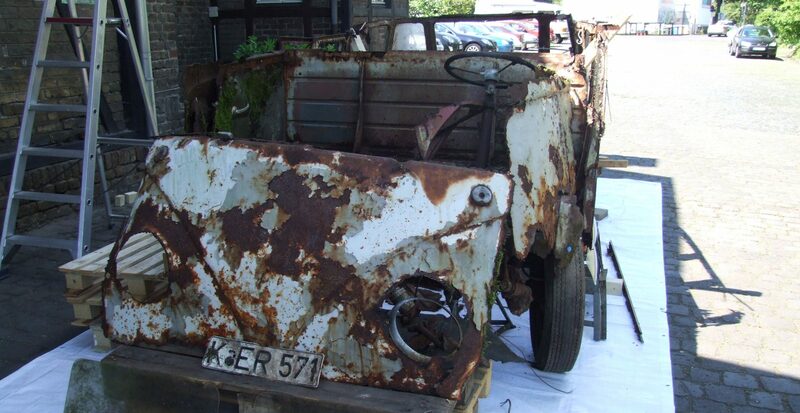 Or did the factory already thought about something as a Samba in June 1950? Then this would be the clock of a prototype nobody ever heard of! I could not belief in such a find! Can anyone solve the miracle? If so, please send a comment. To those who can help and to all of us: have a good weekend! I am heading to Rosmalen tonight searching more Samba parts. See you there? But now I am really confused. I could hardly believe that the factory really faced the stick towards the passenger. Neither can I see this stick on any picture of early Samba dashes. Just see my next post, showing a picture in a December 1951 sale brochure. There is no stick peeping out of the dash towards the passenger.